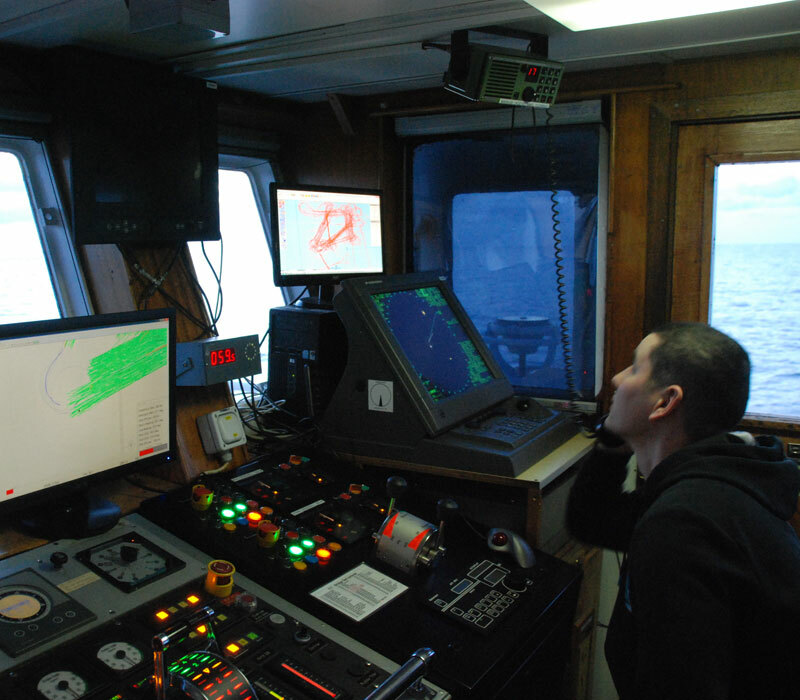 SeaTerra uses the latest technologies and methods to meet project-specific requirements of safe detection of UXOs. The sensors and systems used are based on the goals of the detection and the local conditions of the particular exploration site. 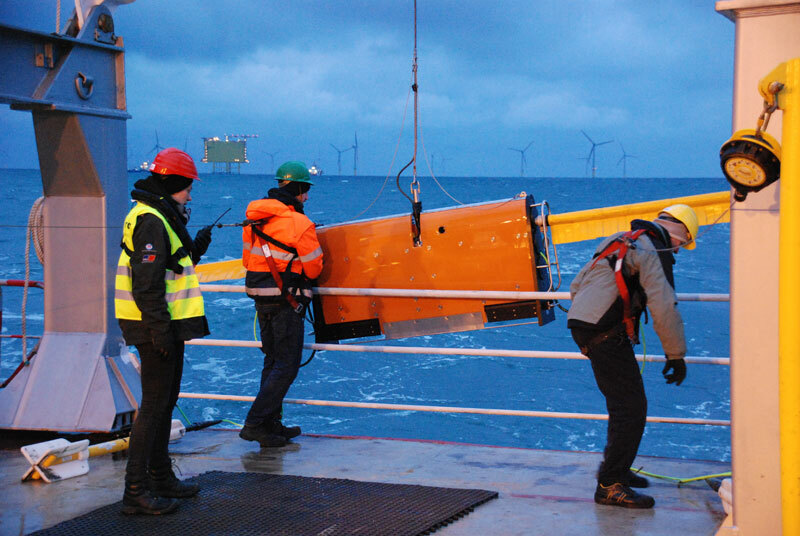 To cover the entire possible spectrum of underwater surveys for UXOs, multisensor technologies were developed to be used on different platforms. 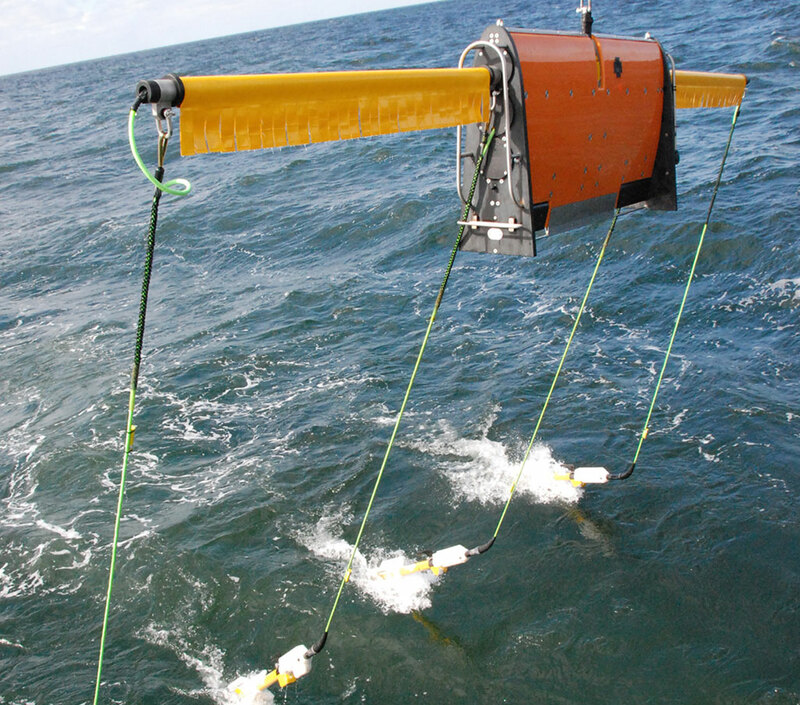 To systematically investigate the seabed for UXOs, the seabed is scanned using total field magnetometers in parallel tracks. is controlled and checked continuously. Imaging techniques such as multibeam sonars supplement the magnetometer surveys and provide information on the water depth and surface properties. Any stone fields, wreckages and other objects which could impede the construction process can be identified using side-scan sonars. The sedimentation on the construction site and any non-magnetic obstacles on cable routes can be represented using sub-bottom profilers. The survey data is analysed and interpreted by specially trained geophysicists at SeaTerra with several years of on-site experience in the field of magnetic and electromagnetic systems. The interpretation of the data is not an automated software process, but a "manual operation" adapted specifically to the project, wherein each individual anomaly is checked and assessed. 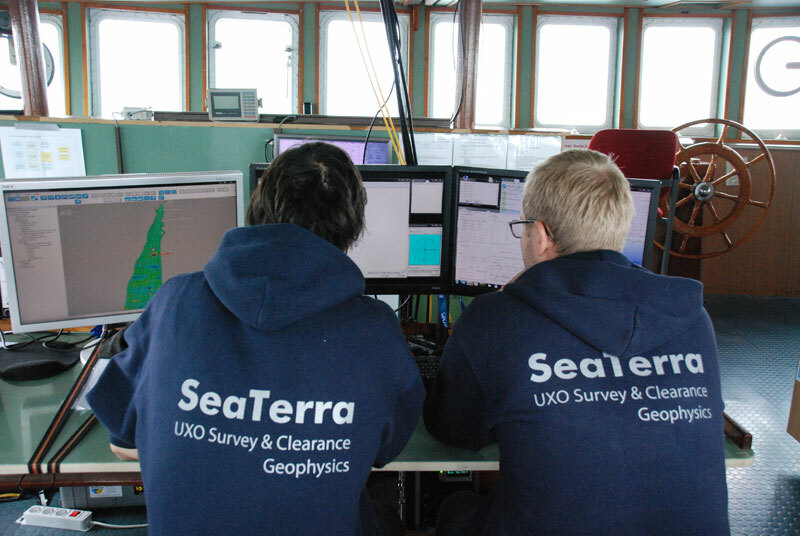 To analyse and interpret data, SeaTerra uses its own software, developed and adapted specifically to UXO survey requirements to determine the best possible object parameters such as dimensions, depth and position in a 2D and 3D analysis.